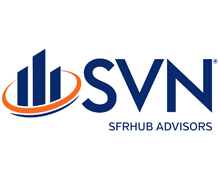 SVN | SFRhub Advisors is the nation’s first dedicated SFR Portfolio brokerage providing an advanced technology acquisition, transaction and data platform supporting both sellers and buyers of residential rental investment portfolios. With more than $1.5 billion of existing assets and new Build For Rent (BFR) investment portfolios from 5 to 5,000 homes. Our proprietary Advanced SFR Scrub Report speeds the decision process with quality, real time intelligent, clean and verified data. Our robust client relations team boasts more than 135 years in real estate experience and handles all the contract documentation, title insurance, due-diligence and logistics through the final close of escrow. 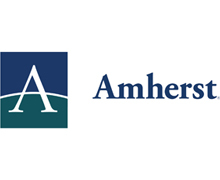 Amherst is a leading real estate investment and advisory firm with a long track record in helping our clients understand risks and opportunities through data-driven solutions for investing, trading and analysis. Over our firm’s 20 year history, we have accumulated the most robust real estate data set in the world. Paired with our proprietary technology and analytic capabilities, we synthesize and battle-test our data to deliver strategic advantages to our clients in the form of actionable investment recommendations based on solid fundamentals and relative value analysis. 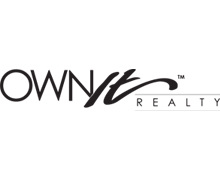 Own It Realty is a Detroit based Real Estate Investment Brokerage which represents a broad range of interests, from large institutions to individual investors. Our strategies revolve around the single-family residential housing market but remain diversified within the space. The firm's strategies encompass fix and flip, buy and hold, redevelopment, value-add incoming producing assets and equity investments in local and regional markets. We make strategic investments in Real Estate assets which provide an opportunity for added value and superior rates of return. Our investment philosophy is simple. Quality over quantity. We want to earn a high rate of return for our clients with as little risk as possible. We do this by constantly innovating within the industry, staying ahead of market trends and only partnering with the most reputable service providers in the industry. 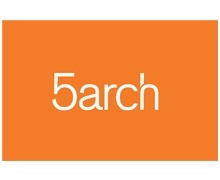 5 Arch is a private mortgage company that provides capital to experienced real estate investors (NMLS #1039184). Our borrower-centric, relationship-driven approach allows us to make the loan process much more convenient and lasting than traditional lenders. If you are seeking to expand your real estate portfolio and build an enduring one-on-one relationship with a direct lender that supports all of your real estate investment endeavors, turn to 5 Arch and “Borrow Better.” Whether you are an investor, mortgage broker, or private lender focused on fix and flip initiatives, single-family rental success, or multi-family property leadership, 5 Arch offers the convenience, speed, certainty of execution, and agility for all your funding needs nationwide. For over 20 years, Uniondale, NY-based Arbor Realty Trust, Inc. (NYSE: ABR) has been helping multifamily and commercial real estate clients achieve their financial goals by focusing on growing long-term relationships and conducting business as not simply another real estate lender, but a partner. We value our clients to such an extent that we’re more comfortable calling them partners, and their relationships with Arbor are the foundation of our business. Founded by Chairman and CEO Ivan Kaufman, Arbor Realty Trust, Inc. is a real estate investment trust and direct lender specializing in loan origination and servicing for multifamily, seniors housing, healthcare and other diverse commercial real estate assets. Arbor is a Top 10 Fannie Mae DUS® Multifamily Lender by volume and the Top Fannie Mae Small Loan Lender, a Freddie Mac Seller/Servicer and a Top Freddie Mac Small Balance Loan Lender, a Fannie Mae and Freddie Mac Seniors Housing Lender, an FHA Multifamily Accelerated Processing (MAP)/LEAN Lender, a HUD-approved LIHTC Lender as well as a CMBS, Bridge, Mezzanine and Preferred Equity lender, consistently building on its reputation for service, quality and flexibility. With a multibillion-dollar servicing portfolio, Arbor is a primary commercial loan servicer and special servicer rated by Standard & Poor’s with an Above Average rating. 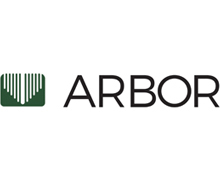 Arbor is also on the Standard & Poor’s Select Servicer List and is a primary commercial loan servicer and loan level special servicer rated by Fitch Ratings. 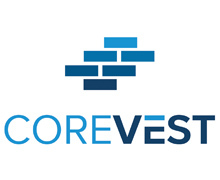 CoreVest is a specialty finance company that provides a range of debt products to residential real estate investors. We offer portfolio and single asset term loans for stabilized rental properties as well as short term credit lines for acquisitions. CoreVest was founded in 2014 to finance single family, townhome, condo and small multifamily properties for customers nationwide. Our products are tailor-made for investors and we provide attractive rates, rapid timelines and closing certainty. We work directly with borrowers as well as with brokers and correspondent partners. 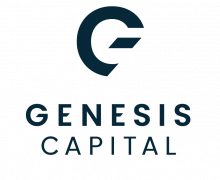 Genesis Capital is the leading loan source for the nation’s top professional developers of residential, multi-family and mixed-use real estate. Our diversified product line and sharp, swift execution enables us to cater to a broad range of investors and developers, across multiple types of projects. We can serve your leverage needs – from large scale fix and flip operations to single family new construction as well as multi-unit and multi-family development. 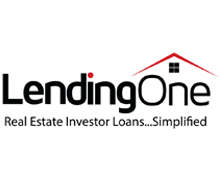 LendingOne is a direct private lender for Real Estate professionals. We offer fix/flip bridge loans and long term rental financing. Not a broker nor a bank, but a fully funded lending partner that can close consistently and help you grow your business. LendingOne uses our own capital, an easy online application and our extensive real estate experience to provide quick and reliable funding for our clients. Our experienced management team truly understands the real estate business and has taken an investor-friendly approach to the lending business. We are self-funded, allowing us to move quickly and finance your project using 100% of our own capital. With our proprietary technology, we have streamlined the real estate lending process. At the click of a button, you can be pre-qualified for our competitive rates. Pre-Qualify online 24 hours a day, seven days a week and we will get you to the closing table in as little as ten days. 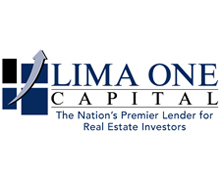 Lima One Capital is the nation’s premier lender for residential real estate investors. We make it easy for investors to finance all of their rental properties and fix-and-flip projects. Lima One Capital is lending across 42 states and the District of Columbia. Lima One Capital is revolutionizing lending for residential real estate investors through our innovative loan products. The FixNFlip loan provides capital to investors and builders for both the purchase and construction of an investment property. 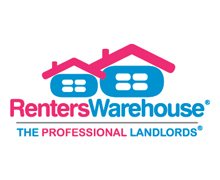 Our Rental suite of products provide options for the purchase, refinance, and cashouts of individual rental properties and rental portfolios. We hold firm to a policy of no hidden or junk fees, close quickly, and offer our clients the most professional customer service in the industry. The Lima One Capital team has a passion for our borrowers and their entrepreneurial spirit. We love this industry because we recognize the social and economic impact that our clients have on communities and the economy as a whole. Lima One Capital is proud to play a role in this process. Roofstock is the leading marketplace for investing in leased single-family rental homes, with listings in 13 states across the U.S. 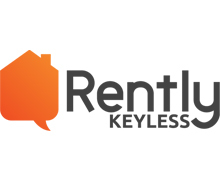 The company’s transparent online marketplace makes buying, owning and selling rental property efficient and transparent by offering detailed home and tenant information, local vetted property management options, as well as analytics and general market insights to help investors evaluate and purchase certified properties. The company stands behind its marketplace with a 30-day, Money-Back Guarantee. 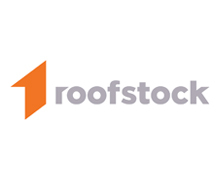 To learn more about Roofstock, please visit: http://www.roofstock.com. 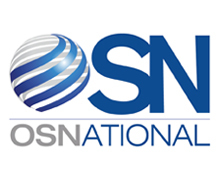 OS National is a fully-diversified national title and settlement provider with practice groups focused on residential and commercial real estate. At OS National we are building the premier nationwide title insurance agency. Founded on a deeply rooted passion to better serve our customers and their evolving needs, we are approaching title insurance differently - with the customer first. Keeping this at the forefront, we are able to define who we are, what we stand for, and how we will interact with you. And, it is simple. We are not your typical title company. We are redefining title services. RCN Capital is a national, direct, private lender. We provide short-term & long-term commercial loans ranging from $50k to $2.5M+ for the purchase and/or refinance of non-owner occupied residential and commercial properties, financing of renovation projects and bridge funding. We lend to experienced real estate professionals, investors and contractors throughout the country. As a direct, private lender, RCN Capital takes a common sense approach to underwriting, with all approvals made in-house. We are dedicated to providing quick responses to time-sensitive loans, often times with the ability to close in as few as 10 business days. At RCN Capital, we value referrals and our brokers are protected. We are committed to the highest level of customer service because our success lies in building relationships. Roc Capital has expanded its successful 1-4 family fix and flip lending program to include multi-family properties nationwide. This new program is targeted at smaller multi-family properties, typically those with less than 50 units, that need renovation and lease-up to stabilize rent rolls. Prior borrower experience in similar projects is required. 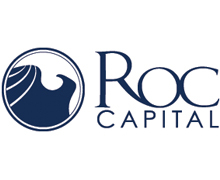 Roc Capital is a reliable capital partner for private lenders, offering quick turnaround times and preferred financing terms for repeat borrowers with an active pipeline of transactions. We are NOT funding ground up construction of multifamily properties at this time. 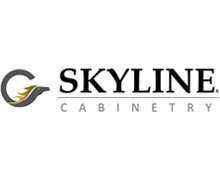 Skyline Cabinetry is a premier manufacturer of premium quality, all-wood kitchen cabinets. With distribution centers that are factory owned and conveniently located in Chicago and Dallas, Skyline Cabinetry carries a strong tradition of supplying quality products for the commercial and residential markets at an affordable price. Our sales staff has a strong background in the construction industry and can assist in the ever-demanding need for luxury kitchens at an affordable price. Alliant Insurance Services, Inc. is the number one broker for placement of insurance for large portfolio Single Family Rental owners. Alliant is one of the largest insurance brokerage firms in the United States, providing property and casualty, workers' compensation, employee benefits, surety, and financial products and services to some 20,000 clients nationwide, including real estate and hospitality, habitational, public entities, tribal nations, healthcare, energy, law firms, construction, and other industry groups. 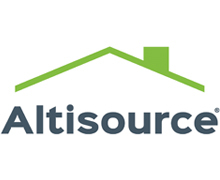 Altisource Portfolio Solutions S.A. (NASDAQ: ASPS) is an integrated service provider and marketplace for the real estate and mortgage industries. Combining operational excellence with a suite of innovative products and technologies, Altisource helps solve the demands of the ever-changing market. Additional information is available at altisource.com. 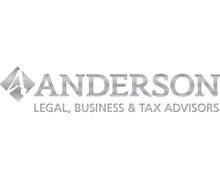 Anderson Advisors is a Seattle-and Las Vegas-based business planning and consulting firm with a focus on providing high-quality services and resources to real estate investors, stock traders, solopreneurs and business owners. Anderson Advisors takes a unique approach to asset protection. Unlike traditional groups, we avoid hourly fees and instead work on a fee-based structure in which the costs of creating and implementing a plan are inclusive. In other words, we want our clients to take an active role in the implementation of their plan. Anderson Advisors is the nation’s premiere entity provider. Our biggest competitors in the field of entity planning are primarily non-legal service providers. Because of this, they do not have the same ethical standards that we at Anderson Advisors have. We do not offer false hope or false promises. We offer commonsense legal solutions to the most common obstacles. We believe it is in everyone’s best interest to take an honest look at their situation. Therefore, when you contact us, you can expect your advisor to ask a series of questions to fully understand your current business situation. Together, we will work towards a common goal: Preserve, Protect & Prosper! Auction.com is the nation’s leading online marketplace for the disposition of distressed residential properties. Auction.com goes beyond traditional disposition programs, offering tools and services that maximize sales, shorten the sales cycle, yield higher returns, mitigate risks and elevate results at every stage of the asset lifecycle. Our seller strategy includes customized and flexible programs, data intelligence and buyer insights, pioneering technology, such as Portfolio Interact™, and support from 1,000+ employees dedicated to the disposition process. With a nationwide marketing reach going to millions of potential buyers, Auction.com's national footprint for both online and onsite auctions includes all 50 states as well as Washington DC and Puerto Rico. 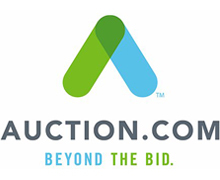 Auction.com is headquartered in Irvine, CA, with offices in key markets nationwide. Welcome to the AvidXchange Community. 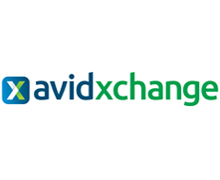 This is the place for AvidXchange employees, former employees, partners, and AvidXchange Users and administrators. AvidXchange revolutionizes the way companies pay their bills by automating invoice and bill payment processing. We are automation experts and have been automating companies’ bill pay processes for more than 15 years to reduce costs, improve productivity and eliminate paper from their bill payment process. Our team of automation experts can automate your bill pay process in 45 days—guaranteed! AvidXchange provides accounts payable solutions that streamlines invoice capture, intelligently routes approvals and automates payments reducing costs, improving productivity and eliminating paper from the process. As the first SaaS technology vendor to automate invoice processing, AvidXchange works with vendors to electronically send and receive invoices and has standard integration to more than 100 accounting systems. Our specialized analytics, Energy and Telecom services provide increased visibility into hidden costs to reduce operating expenses. Headquartered in Charlotte North Carolina AvidXchange is privately held with over 350 employees nationwide. 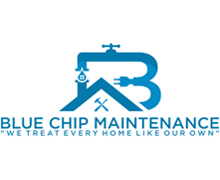 Blue Chip Maintenance offers a wide range of commercial and residential services thoughout North Carolina, South Carolina and Georgia. We specialize in providing our customers with high quality, quick and affordable maintenance services . 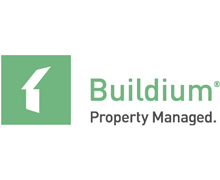 Buildium provides easy-to-use, affordable cloud-based property management software solutions to property managers and community associations. The company was founded in 2004, and today more than 15,000 customers use Buildium’s online property management software in 46 countries. Civic Financial Services is a direct private money lender specializing in the financing of non-owner occupied, residential investment properties. With access to institutional capital, CIVIC provides Mortgage Brokers and Real Estate Investors with a consistent, cost effective, and efficient funding source. 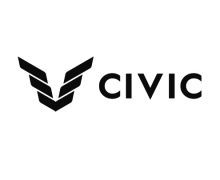 CIVIC is a common sense lender that offers competitive loan programs for fix & flip projects, rental property acquisition or refinance, and bridge loan solutions. 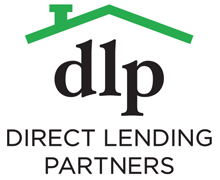 DLP Direct Lending Partner is a private lending firm that offers bridge loans on SFR fix & flip, SFR new construction, and multi-family bridge debt. DLP specializes in financing short term acquisition projects that have a heavy renovation component, and lends in over 30 states. DLP’s Preferred Line of Credit program also provides experienced investors access to unlimited capital to scale their real estate business. 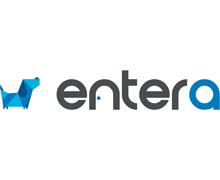 Entera is the only end-to-end residential real estate platform designed to help investors buy single-family rental properties. The largest real estate investors in the world rely on Entera to target and transact on billions of dollars of SFR investments. We currently have over 220,000 on-market, off-market, auction and portfolio properties in 11 top markets across the U.S. Entera's platform combines access to the most real estate with artificial intelligence, full transaction management and a highly experienced local brokerage team to help power the best investment decisions. Visit us today at www.entera.ai. 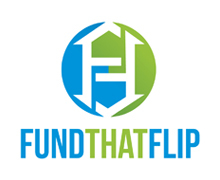 Fund That Flip provides fast, convenient, affordable capital for experienced real estate investors that buy and rehabilitate residential properties. To date, we've done hundreds of deals through our simple, transparent online application process with 24-hour turnaround time for funding commitments. Leverage your experience and success to lower your cost of capital over time by gaining access to our large network of institutional and individual high-net worth investors. You deal directly with us, getting your deal funded in as few as 10 days. Our story? As investors in real estate ourselves, raising capital was always the biggest challenge. So we created a lending platform that solves all the problems we experienced over the years. See how we simplified real estate loans at www.fundthatflip.com. We help businesses focus on their core competencies by providing effective and quality outsourcing solutions. We work with a team of smart, professional and skilled individuals who fully understand the environments in which our clients operate. Our outsourcing solutions have helped our clients increase their returns, maximize operating efficiency, and reach out to customers. Kimball, Tirey, & St. John LLP provides effective legal representation in a wide range of business and real estate matters. As a statewide firm with offices throughout California, we deliver professional legal solutions to help clients achieve their business objectives. Areas of practice include unlawful detainers, collections, breach of lease, lease drafting and negotiation, real estate transactions and litigation, bankruptcy representation, creditors rights, fair housing and ADA defense, general civil litigation, and educational programs. With active participation in local and state real estate and legislative organizations, Kimball, Tirey & St. John LLP keeps clients apprised of pending issues that affect their business. As a client of KTS, clients receive legal updates, articles on areas of legal interest and invitations or seminars. Our clients depend on our experience, integrity, and dedication to providing the highest quality legal representation available. For an extensive list of our services, please visit our website at www.kts-law.com. 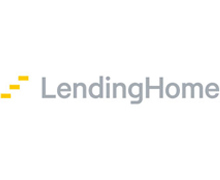 LendingHome is a Forbes Fintech 50 company and is the largest hard money lender in the country. We provide bridge loans for real estate investments and have a strong community of fix and flippers. 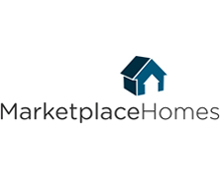 We also have a retail marketplace for people to invest in homes outside of their own flipping endeavors. We have funded over $3.5 billion for over $15,000 projects since our inception in 2013. We serve 26 states and have two offices, one in San Francisco and the other in Pittsburgh. What makes us unique is our technology that helps simplify the loan process. We are truly a partner and aim to create a superior loan experience for all levels of investors. Since 2002, we’ve been creating real estate solutions that help people move into a new home no matter what their situation. We’ve stayed ahead of the curve in an ever-changing industry by challenging ourselves to develop innovative processes that provide clients with the best moving experience possible. We’re working day in and day out to benefit our clients, to foster growth in our builder partners’ businesses and to grow beyond the status quo. The key in teamwork – and to Team Marketplace, every member is encouraged to bring creative ideas to the table and discover new solutions. We are a company that wants to constantly push and stretch our limits to redefine our boundaries. We are a company that aims to make the lives of others better. We are a company that thinks beyond the big picture. Why stop with just the world? We are currently the largest broker of new construction homes in the U.S. and we are pretty proud of that. We move change. We are remarkable. We win (yes, in every sense of the word). We have understated elegance. We think outside the cloud. We unstick the stuck. We create stories worth telling. Moody's is an essential component of the global capital markets, providing credit ratings, research, tools and analysis that contribute to transparent and integrated financial markets. Moody's Corporation (NYSE: MCO) is the parent company of Moody's Investors Service, which provides credit ratings and research covering debt instruments and securities, and Moody's Analytics, which offers leading-edge software, advisory services and research for credit and economic analysis and financial risk management. Both organizations are supported by Moody's Shared Services. 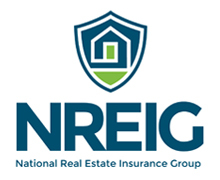 National Real Estate Insurance Group (NREIG) leads the industry in providing custom insurance products that meet the specific needs of real estate investors. Our clients range from individual property investors to large-scale investors, turnkey operators, lenders, property managers and landlords. We service over 16,000 clients with 65,000 locations across all 50 states. REIGuard is our most comprehensive product for investors that can accommodate occupied, vacant and renovation properties with the ability to house all of your locations on one monthly schedule. Investors can seamlessly add and delete properties as you go, only paying for coverage that you need. 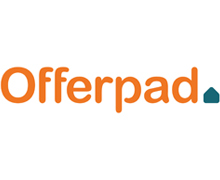 Offerpad is a leading tech-enabled, real estate company. The company’s on-demand platform is revolutionizing the industry with an innovative end-to-end real estate experience for those looking to buy or sell a home. Offerpad streamlines the process for consumers, making the process convenient and hassle-free. 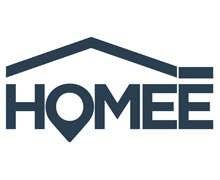 Founded in 2015, the company’s leadership team has decades of real estate experience and collectively has purchased, renovated and rented or sold more than 100,000 homes. Offerpad is a privately-held company, headquartered in Arizona, with markets in Atlanta, Charlotte, Dallas, Las Vegas, Los Angeles, Orlando, Phoenix, Salt Lake City and Tampa, collectively reaching more than 441 cities. 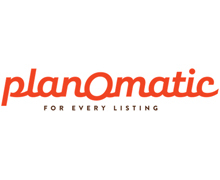 Founded in 2005, and a member of the National Rental Home Council since 2017, PlanOmatic is an all-inclusive photography and floor plan provider that supplies SFR investors with industry-leading services to rent more inventory and reduce days on market. With a national network of photographers, they provide a consistent brand experience for multi-market portfolios and combine API technology to streamline workflow and delivery. The Denver-based business has been named on the Inc. 5000 list as one of America's Fastest Growing Companies for four consecutive years. For more information visit www.planomatic.com. 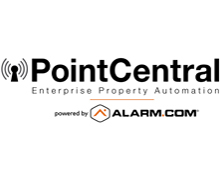 PointCentral, a subsidiary of Alarm.com (Nasdaq: ALRM), provides short and long-term property managers in the single and multifamily markets with an enterprise-class solution that monitors and controls Smart Home Automation technology across all properties in their inventory over a best-in-class secure and reliable network – increasing property awareness, reducing operational costs and improving resident satisfaction. 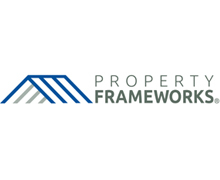 Property Frameworks is one of the country’s leading single family property management companies. 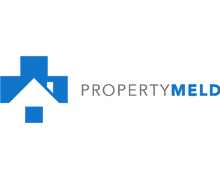 Our philosophy of treating each client like a property investor means we can help you allocate your time and money in a way that achieves your investment goals, while taking care of your most valuable assets-your tenant and your property. Whether you need specialized services in the areas of marketing/leasing, tenant care or property care, we have the experience to deliver practical results. 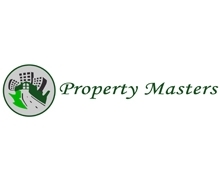 Property Masters Renovation Specialists provide high-value renovation services that help investors, professionals, asset managers, and real-estate agents prepare their bank-owned homes or investment properties throughout the US for expedient sale or rental. 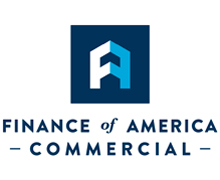 The company has a 15-year track record of success, delivering quality and service - and adding value to REO and investment properties across the nation. Property Meld was designed to expedite maintenance while delivering excellent customer service. Our system: receives, assigns, coordinates and schedules all maintenance activity; meanwhile, updates and notifies all parties of repairs, completion, follows-up with tenants, and more. Automate your maintenance process and become more effective, efficient, and scalable. 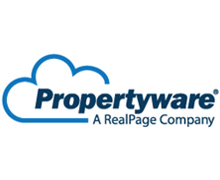 Created specifically for single-family residential property managers, Propertyware, powered by RealPage, is a complete, world-class software solution designed to boost operational efficiency and profitably. Unlike other platforms, Propertyware was built without technological limits, scaling with your business as you grow. This powerful platform helps property managers convert more prospects into tenants, streamline routine management tasks and increase productivity-all while staying compliant. Easy to implement and simple to use from desktop or mobile device, Propertyware is truly affordable, flexible and scalable. Real-Time Consulting Services recognizes that one size fits all doesn’t work for Property Managers. Large or small, regardless of the size of your business, our consulting approach is completely customized to our clients’ needs and your culture. We focus first on understanding what your challenges are, analyze those learnings in comparison to benchmarks, then formulate an action plan to help you reach your desired goals. As well, our Property Management Consulting services grant you access to years of sound industry and operational knowledge to ensure you are prepared for change with quantifiable results. 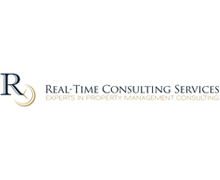 Real-Time Consulting Services consults and advises other Property Management firms on business strategy, process improvement, compliance and operational efficiency in the world of Property Management. realprotect is an insurance and risk management program designed specifically for the 1 - 4 Family Dwelling Real Estate Investor. Endorsed by both the National Real Estate Investors Association and ARPOLA, realprotect helps real estate investors with any gaps in their insurance strategy, while lowering overall risk costs and properly transferring risk. 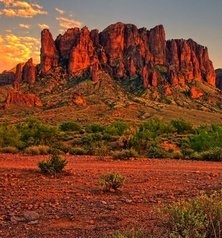 Visit www.realprotect.com for a quote today! 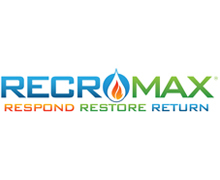 Recromax makes property rehab simple and stress-free for our clients. We have a dedicated team of construction professionals, who have the expertise and knowledge to execute our client’s strategies and vision, for each project. Our goals are to save our client’s time, money and resources by utilizing the latest-technology, paired with strict practices, which result in a work product that will exceed our client’s expectations. We are here to assist our clients in acquiring a full return on their investments, all within a timely fashion. By hiring Recromax, you are guaranteed professional services with a LICENSED and INSURED contractor. Rently Keyless is a powerful, innovative and customizable smart home system tailored specifically to enterprise clients. Rently Keyless utilizes cutting edge Tri-Band and Z-wave protocols to ensure your smart home has the best industry scalability, uptime, and security. Open API, branded app, and OEM options ensure that large institutions can customize Rently Keyless to meet their specific needs. Using Rently's self-service showing technology property managers, owners, and brokers can easily provide access to renters, homes buyers, and vendors without having to physically go out to the property. Eliminate turn, save money, and rent/sell faster with Rently. 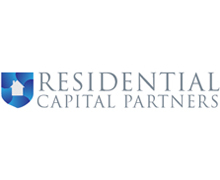 Residential Capital Partners is a leading private lender with a national scope and a local presence in each market we serve. We are dedicated to the customers we serve and we understand the demands of the 1 to 4 family residential purchase, rehabilitation and rental process. Given the breadth and depth of our experience over the last 10 years, we are able to underwrite, approve and close loans for our customers in an expedited manner and leverage the investment capital of our customers like no other private lender in the country. 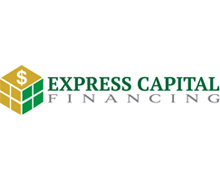 If you are looking for short-term acquisition financing or longer-term rental financing, please contact us and let us know how we can serve you. 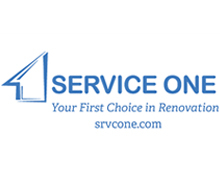 Service One is leading the industry as the first choice in construction services. We are known as the preeminent provider of outsourced make ready, maintenance, renovation or insurance restoration. Our success is built on our SWEPT system. We are committed to exceptional Service, Workmanship, Expertise, Professionalism and Timeliness. 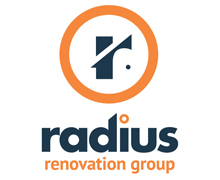 Leading the industry with high quality, high volume renovation services, we bring value to our clients and communities with our superior care. Our greatest strength is our combined one hundred years of industry experience and the core values of our owners, United States Air Force Veterans, who aim high and do the impossible every day. From renovation, restoration, roofing, construction management and service maintenance to insurance restoration, our team is ready to serve you. 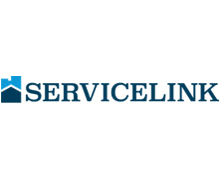 ServiceLink is the premier provider of origination- and default-related products and services to the mortgage and finance industries nationwide. 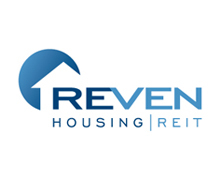 Providing a full complement of REO and liquidation solutions – including single family rental services, deed-in-lieu and short sale solutions – in addition to default valuations, field services, property preservation, default title services, auction and more, ServiceLink blends the right mix of experience and technology to simplify the default process, support loss mitigation efforts, and help our clients mitigate risk and gain processing efficiencies that reduce operating costs and drive value throughout the life of the loan. Through its predecessor companies, ServiceLink has been providing transaction services to the mortgage industry for more than 47 years and has transformed how lenders and servicers do business by providing integrated mortgage solutions for the origination and default servicing markets. 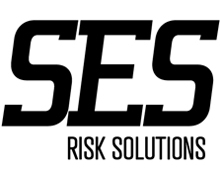 SES is a program specialist that offers master policy insurance solutions for portfolios of real estate owned or controlled by financial institutions and investors. 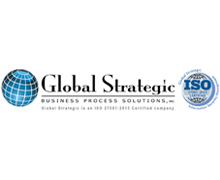 SES prides itself in having a 27 year history of being a strategic resource to our clients by delivering unparalleled customer service, proactive relationship management, and innovative products and technology in support of our clients'​ business goals. SES offers a dynamic work environment that attracts top level talent built around high performance, teamwork and creativity. Trust - SES is the foremost expert and largest provider of insurance products and services for residential and commercial real estate held in trust by financial institutions. SES serves more than 100 financial institutions across the U.S, including 18 of the 25 largest banks. In addition to a dedicated staff of insurance professionals and a national network of retail brokers, SES uses advanced proprietary technology serve our clients. 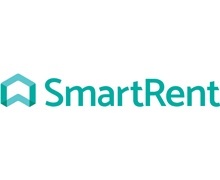 SmartRent is bringing smart home automation to property managers and renters. Whether you develop, own or manage multifamily communities, our platform enables you to control all of the smart devices in your properties. Property managers can monitor all vacant unit activity and remotely control door locks, thermostats, cameras, lights and hundreds of other smart devices. When a unit is filled, the residents can seamlessly control their smart devices through our app, giving them an unparalleled resident experience. 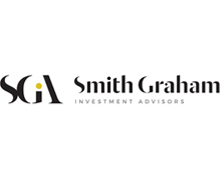 Smith, Graham & Co. Investment Advisors, L.P. ("Smith Graham"​) is an SEC-registered investment advisory firm. Since 1990, we have proudly provided institutional clients with asset management services. Smith Graham specializes in managing fixed income and equity assets. We define success by delivering consistent value-added performance to our clients. Smith Graham manages approximately $6 billion in assets for a broadly diversified, institutional client base including public funds, corporations, endowments, and Taft-Hartley plans. 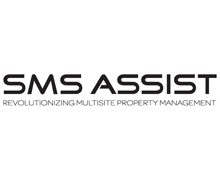 SMS Assist is on a mission to deliver a better experience in the facilities management industry. We’re doing this by delivering optimum levels of quality, timeliness, and cost to more than 186,000 properties across retail chains, restaurant chains, banks, residential communities, and more. 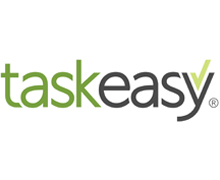 The industry knows us for our proprietary cloud technology, easy access to more than 20,000 vetted service providers, and a customer service organization available 24/7. Join our mission at smsassist.com. 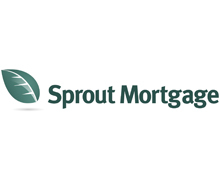 Sprout Mortgage has created loan programs designed to appeal to a broad range of home buyers. The programs are affordable, and each program is designed to serve an important demographic. Whether it's wealthy retirees, persons with recent credit problems, upwardly mobile professionals with limited savings, real estate investors, or even foreign investors; Sprout Mortgage has a loan program with payments your borrowers can afford. Sprout Mortgage purchases loans from directly from lenders that are highly ethical and compliance-oriented. It is our goal to work with our lender partners to serve those home buyers who are unable to obtain agency financing, but are creditworthy and can demonstrate a clear ability to repay their loan obligations. Through this philosophy, we aim to expand home ownership while maintaining a high level of compliance and soundness. The Sprout Mortgage leadership team has 125+ years of combined experience originating, underwriting, financing investing, servicing and managing mortgage assets. The team has the experience to adapt to changing market conditions. Our unique platform is designed to help our lenders originate, process and close loans. Sprout's pre-close and pre-purchase review for credit, value and compliance, allows lenders to close loans with confidence. Contact us today at 800-753-3300 or register online to become an Approved Correspondent Lender and learn how we can help you grow your business! Sunset Equity Funding is a nationwide, direct private money lender offering competitive commercial financing programs for real estate investors. Loans range from $100K - $50M million in size and we are able to fund in 48 hours or less. Foreign nationals are ok. We have no pre-payment penalty. 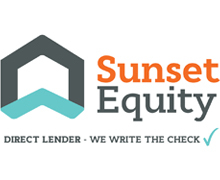 Sunset Equity Funding offers a correspondent lender program (CLP) for brokers to control the loan origination process from application to closing. Sunset Equity Funding also offers rates as low as 7.49% with no upfront deposit fees. We expedite the loan cycle, so you can continue to scale your business. Our goal is to create a meaningful alliance with you to gain greater market-share with the best rates and terms. Send Sunset Equity your deal so you can focus on the next one! Jason is the founder of The Collective Genius Real Estate Mastermind also known as "The Elite Investor's Board Of Directors". 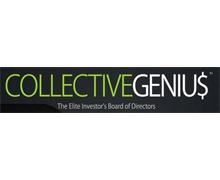 The Collective Genius consists of 110 of the nation’s Elite real estate rehabbers, wholesalers, and turn-key providers that meet quarterly where they help each other scale by sharing all of their strategies, systems, data and resources with each other. Typical Collective Genius members flip between 50 to 750 homes a year in addition to holding and or managing sizable rental portfolios. In addition to sharing strategies, systems and resources, Jason has created an environment where there is a tremendous amount of deal flow and joint venture activity between members as he is masterful at the art of making profitable connections. Please connect with Jason if you're looking to scale your flipping/turn-key business, access deal flow, or to deploy capital. When you need quality property renovations with a wide assortment of products, the nation’s most trusted name in home improvement is at your service. The Home Depot works with a network of certified installers nationwide to deliver fast, reliable, consistent and complete service for every client. Typically, that means quicker sales for mortgage servicers and asset managers, greater ROI for property investors, on-time and on-budget repairs for government agencies and nonprofits, and higher quality reconstruction for public housing. That’s our business. That’s the power of The Home Depot Renovation Services. 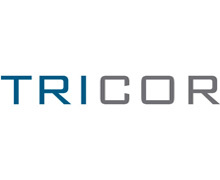 Tricor is a national turnkey construction operator for the Single-Family Rental Space offering end to end construction for large portfolio and institutional investors. Having worked on $1.5 billion in assets for top institutional clients, Tricor is widely regarded as a premier outsourced construction provider. As a leader in the SFR build-to-rent movement, Tricor is the only national contractor providing exclusively built-to-spec product. Virtuance is a real estate photography, marketing, and technology company based in Denver, Colorado. We provide cutting-edge, highly market-effective products and services to real estate professionals to support their visual marketing initiatives. 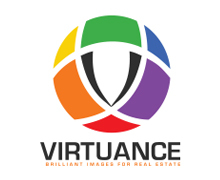 Virtuance was founded in 2010 with the idea that creative technology could solve some of the most difficult and ongoing challenges of real estate visual marketing. The state of the industry had long been tied to an inefficient relationship between price and image quality – the higher the quality, the more expensive the service. Virtuance challenged that longstanding notion from day one by providing high-quality, extremely marketable images at some of the lowest prices of any available photography solution. On the strength of HDReal®, our groundbreaking proprietary automated imaging system designed to deliver high-quality real estate marketing images at incredibly affordable prices, Virtuance has become one of the leading providers of real estate photography in the country. With a world-class staff of engineers, photographers, and imaging specialists, and a visionary and highly experienced executive team, Virtuance is poised to continue breaking new ground in the world of real estate marketing by designing and releasing revolutionary products and services that are designed to empower our clients to be the best and most effective real estate marketing professionals they can be. 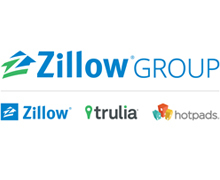 Zillow® is the leading real estate and rental marketplace dedicated to empowering consumers with data, inspiration and knowledge around the place they call home, and connecting them with the best local professionals who can help. Launched in 2006, Zillow is headquartered in Seattle and is owned and operated by Zillow Group. 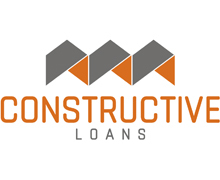 At Constructive, our mission is to help the residential real estate investor by providing an easy process, competitive pricing, and expansive programs to meet all of their financing needs. Whether it’s fix to flip or buy to hold, we are committed to providing the right solutions for our clients. Constructive is based in Oakbrook, Illinois, with offices in Carrollton, Texas and Tempe, Arizona. A direct nationwide lender of Bridge Loans, Hard Money Financing as well as Commercial Mortgages. We offer 90% of Purchase, 100% of Rehab, 5 to 30 units, $75,000-10 Million. Committed to gearing your investment goals to a variety of innovative programs, we engage in a solutions-focused, consultative approach. By developing a lender-investor relationship, we understand your specific needs, goals & present the best approach to satisfy your requirements. 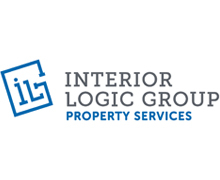 At Interior Logic Group, our collective network of local design and construction services partners purposefully doesn’t adopt the one-size-fits-all mentality. We believe that innovative, customer-focused services are based on local expertise and lasting relationships built over time. You won’t find a new project manager on every job or a complex hierarchy of decision makers. Instead each of our partner companies is ingrained in the communities where they live and work. Their clients are neighbors and friends – and are treated as such. We treat client expectations, timelines and budgets just like we would our own. When you’re in a bind, we work with you to provide the flexibility you need. We’re all part of the same community, and want to see it grow and prosper. As we grow our network with other organizations, we are able to collaborate within and across markets to learn and implement best practices and operational efficiencies. This blueprint for success allowed us to maintain the best talent and edge in the industry. With our continued growth within the industry, our focus will remain on local expertise and a loyalty to our customers, suppliers, and team members. As you succeed, we succeed. It's just logical! 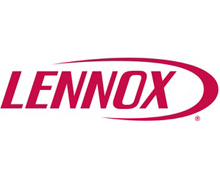 Lennox Learning Solutions is a top-tier HVAC training provider for technicians, sales people and leaders in the HVAC industry. Affordable and easily accessible, Lennox Learning Solutions offers many programs across multiple platforms, including eLearning, webinars, and instructor-led classes in locations around the U.S. and Canada. With our HVAC training and development programs, leaders receive the training they never had for leading a business into success; technicians learn HVAC fundamentals and more advanced skills, and salespeople gain the processes and strategies they need to close the deal. Since they started in 2005, Lennox Learning Solutions has developed 400 courses in 45 categories — variety you can’t beat. In an industry that’s constantly changing to keep up with technology, it all starts with a focus on the consumer, so HVAC professionals can provide top-notch service to their customers, in their communities. Our mission is to help you reach your performance goals for yourself and your company. Mohawk Industries is a leading global flooring manufacturer that creates products to enhance residential and commercial spaces around the world. 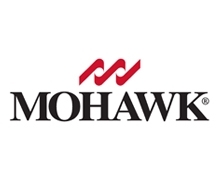 During the past decade, Mohawk has transformed its business from an American carpet manufacturer into the world’s largest flooring company with operations in Australia, Brazil, Canada, China, Europe, India, Malaysia, Mexico, Russia and the United States. Mohawk’s vertically integrated manufacturing and distribution processes provide competitive advantages in the production of carpet, rugs, ceramic tile, laminate, wood, stone and vinyl flooring. 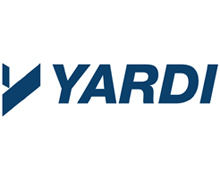 Our industry-leading innovation has yielded products and technologies that differentiate our brands in the marketplace and satisfy all remodeling and new construction requirements. Our brands are among the most recognized in the industry and include American Olean, Daltile, Durkan, Karastan, Marazzi, Mohawk, Mohawk Home, Pergo, and Quick-Step. 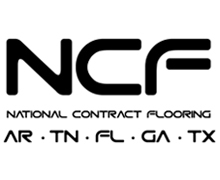 National Contract Flooring is a flooring replacement, repair, and service company that is dedicated solely to the business of residential property management. All of our processes are designed to help our customers turn their properties on time and on budget. Our knowledge of the single- and multifamily rental businesses allows us to provide the service our customers need to hit their goals. With full product lines from all major manufacturers and next-day service capability, we are able to provide the products and services to help your business minimize downtime and maximize return. 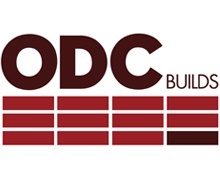 ODC Construction builds success for production and custom homebuilders every day, delivering excellence in construction management, construction quality and customer service. With Divisions in Orlando and Tampa, we are Florida’s largest shell construction contractor, delivering turnkey foundation, masonry and framing solutions. 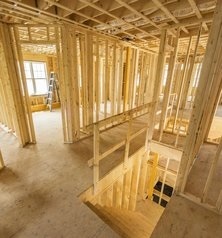 We build thousands of homes each year, and we provide the highest level of quality and service at competitive pricing. With General Contractors, Engineers and Project Managers on staff—and hundreds of in-house construction crew members led by a team of Field Managers—ODC delivers hands-on materials and construction management by talented, experienced professionals who work together as full-time members of the ODC team. We welcome the opportunity to earn your business. Please contact us to request an ODC proposal or to learn more about our great company. ODC Builds. 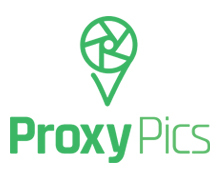 ProxyPics Inc is a patented photo delivery service based in the north side of Chicago. Our platform recently launched in May 2018. CEO and founder, Luke Tomaszewski, has been in the real estate industry for over 15 years. He noticed closings on homes were being delayed simply because a real-time photo was needed to complete paperwork. So, became the idea of ProxyPics. Why not have someone already in the area, take the photo, make some money, and send it straight to you? ProxyPics is available to download for free at the App Store and Google Play. Non-compliant vendors pose a significant financial threat to Single Family Residence management companies and owners. Risk managers have turned to RMIS to significantly reduce exposure to risk and cut administrative costs, while automating Vendor credentialing and compliance. 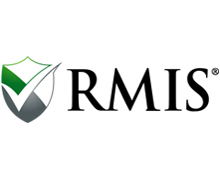 RMIS has a proven track record of providing efficient insurance and legal document monitoring for hundreds of clients nationwide. We work with over 30,000 insurance producers to monitor Certificate of Insurance information ensuring our clients receive the most accurate and current insurance information on their Vendors. Contact RMIS to learn more. The leading national flooring service provider for single family homes. 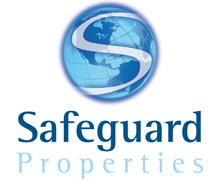 Safeguard Properties is the largest privately held mortgage field services company in the country. Headquartered in Cleveland, Ohio and founded in 1990 by Robert Klein, Safeguard inspects and maintains defaulted and foreclosed properties for a wide range of clients in the mortgage industry, from local loan servicing companies to national publicly traded mortgage servicing corporations. The company has grown from a regional preservation company with a few employees and a handful of contractors performing services in the Midwest, to a national company providing services in 50 states, the Virgin Islands, and Puerto Rico. Safeguard is supported by a nationwide network of subcontractors trained and qualified to perform all requested superintendence, preservation and maintenance functions anywhere in the country. 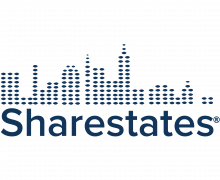 Sharestates is a real estate investment marketplace that allows individual and institutional investors to participate in rigorously vetted debt offerings. All of the offerings on Sharestates’ platform have passed through a 34-point underwriting process. Founded by Allen Shayanfekr and real estate veterans, Radni Davoodi and Raymond Y. Davoodi of the Atlantis Organization, Sharestates has combined proprietary technology with a proven track record of business development expertise to become the fastest growing real estate crowdfunding marketplace, doubling every year since its 2015 launch. Steady Marketplace LLC is the exclusive marketing partner for Steady Insurance Agency LLC, a leading Program Manager and Underwriting Manager for Landlord Rent Default Insurance. Steady Insurance Agency LLC works with an A.M. Best rated A+ and Fortune 100 Company. 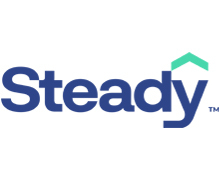 Steady and its affiliates provide landlords and property managers with access to new and innovative financial products via a bespoke online platform. Regardless of your property risks or extent of your insurance requirements, The Mahoney Group's knowledgeable, experienced professional staff are dedicated to developing the most appropriate and cost effective programs to help you meet coverage needs and future goals. Founded in 1915, The Mahoney Group has grown form a small, family-owned insurance business to one of the largest employee-owned Independent Insurance Agencies in the United States. WE are Listed among the top 100 U.S. broker by revenue. 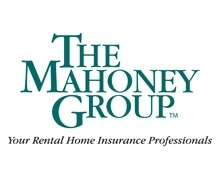 Single & Multi-Family Rental Home Insurance Our premium volume combined with our expertise provides The Mahoney Group opportunity to negotiate favorable pricing terms for our customers. Our Program is backed by companies with A.M. Best ratings of "A" Excellent of better. The program coverage limits are designed to meet your complex coverage needs. 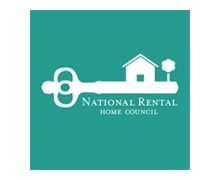 The National Rental Home Council (NRHC) is a non-partisan organization dedicated to advocating on behalf of the single-family rental industry. The NRHC seeks to educate the public, the media and policymakers about the economic value of the industry and the benefits of large-scale, well-managed single-family rental housing platforms. Representing the interests of the owner-operators of professionally managed single-family rental homes, their employees and the residents and families who rent from them, the NRHC promotes the industry’s efforts to revive neighborhoods, create jobs, strengthen housing markets and fill an important need in today’s evolving housing market. Members of the Council include Colony Starwood Homes, Invitation Homes, American Homes 4 Rent, Progress Residential and Tricon American Homes. Together, these companies have invested billions in America’s housing market, creating quality homes, jobs and economic activity in communities across the country. The Broward Real Estate Investors Association is an organization and networking platform for real estate investors, real estate professionals and homeowners. It is our intention to educate and connect our community and to motivate people interested in real estate to achieve the success they desire. The ongoing education is endless, and as a result, hopefully your goals will continue to evolve and your success in the real estate business will increase. In addition, BREIA provides a friendly atmosphere which promotes networking and allows all in attendance to grow by learning from others experiences. The founders of BREIA firmly believe that some of the best lessons have been learned from others who have chosen to share their experiences and save others from the school of hard knocks. 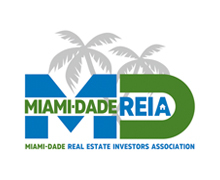 The purpose of the Miami Dade Real Estate Investors Association is to provide a dynamic networking and educational environment for all real estate investors from full time seasoned investors to newbies, homeowners, and real estate professionals. Everyone involved with MD-REIA will have the opportunity to further their real estate education and create a stronger network to enhance their business and real estate investing. Every week, Asset-Backed Alert gives you the earliest word on money-making plays emerging from the transformed ABS and MBS markets. The newsletter makes sense of the changes impacting the securitization of consumer loans, home mortgages and corporate receivables. See for yourself by signing up for a three-issue FREE trial subscription to Asset-Backed Alert. Start your free trial at ABAlert.com or call 201-659-1700. 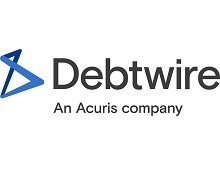 Debtwire ABS provides insight into opportunistic situations in the structured finance market ahead of any other mainstream news outlet. In addition to our unparalleled editorial coverage, subscribers have access to a bid list library alongside primary issuance, commercial real estate (CRE) and NPL databases. With an ever-evolving market, Debtwire ABS tracks and reports on faulty legacy loans as well as emerging asset classes such as marketplace lending. Since 2008, HousingWire has been challenging the status quo and redefining what it means to be an industry publication. Making sense of the nations housing economy requires an authorative view into one of the most critical sectors of the U.S. Financial marketsand thats why HousingWire delivers truly unmatched business insight to our readers. HousingWire is the nations most influential source for news and information covering the U.S. Housing economy, spanning mortgage lending to mortgage servicing, investments to real estate operations. Moving markets forward is our commitment to readers and to the industry as a whole. As we enter our 6th year of publication, HousingWire continues to set the pace for cutting-edge journalism, relevant events and the hard-hitting discussions that truly matter. The strong loyalty of our readers proves it. REI INK focuses on the business side of real estate investment. 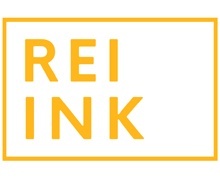 Whether you are an investor, lender, property manager, service provider—or involved in alternative real estate investment strategies such as notes, tax liens or REITs—REI INK will provide you with viewpoints and practical information from the industry’s top leaders and influencers. You’ll discover insights that will make a difference in the way you do business, find opportunities and evaluate deals. Scotsman Guide is the leading media provider for mortgage originators in the residential and commercial markets. Our award-winning publications and online resources, including news and lender searches, are free for qualified mortgage professionals. With an audience first focus and uncompromising integrity, we strive to impact the individuals and industry we serve. While other media companies report the news, The Mortgage Leader is designed to give it meaning. We add context to content, infuse information with insights, and initiate connections as well as conversations. 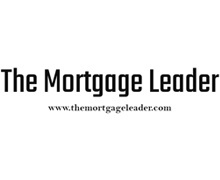 The Mortgage Leader focuses on how mortgage industry professionals can bring their business to the next level. For lending executives, we discuss how they can become more efficient, more productive and improve their bottom lines. We explore what strategies and tactics are working as well as options industry leaders are weighing. We do all this with a focus on the day’s events and what their potential impact will be going forward. For instance, examine factors that drive origination levels, maintain regulatory compliance and deploy technology as a differentiating factor, we will offer our perspective and take on the latest data. For originators, brokers and managers, we explore new ways to drive business, share perspectives and best practices. 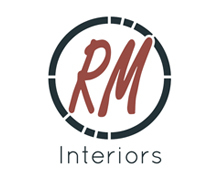 Our aim is to keep you aware of trends that effect your business and offer suggestions on ways to stay ahead of them. After all, you can’t be a leader if you are always trying to catch up. That’s why we’ll keep you on top of social media and technology tactics that can help expand your reach, target your message and improve your bottom line.